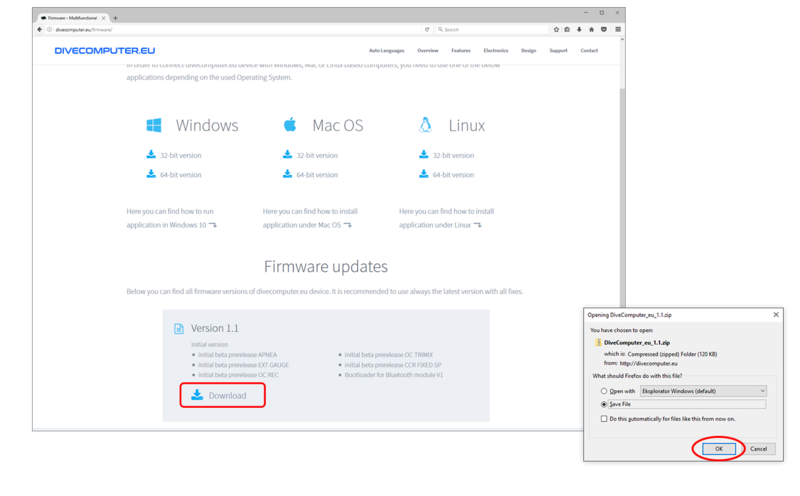 To update the firmware of your device, you need to obtain the Bluetooth upgrader application for your Windows version (32 or 64 bit) and a new firmware file. 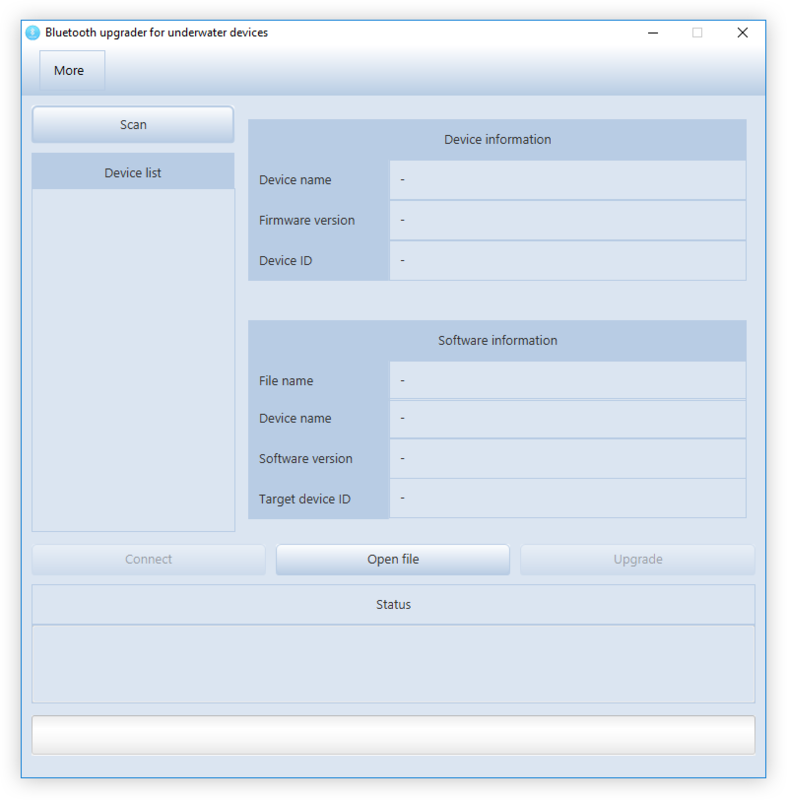 To download Bluetooth upgrader application, go to this page: https://divecomputer.eu/firmware/, select your Operating System and save the file on your hard drive. 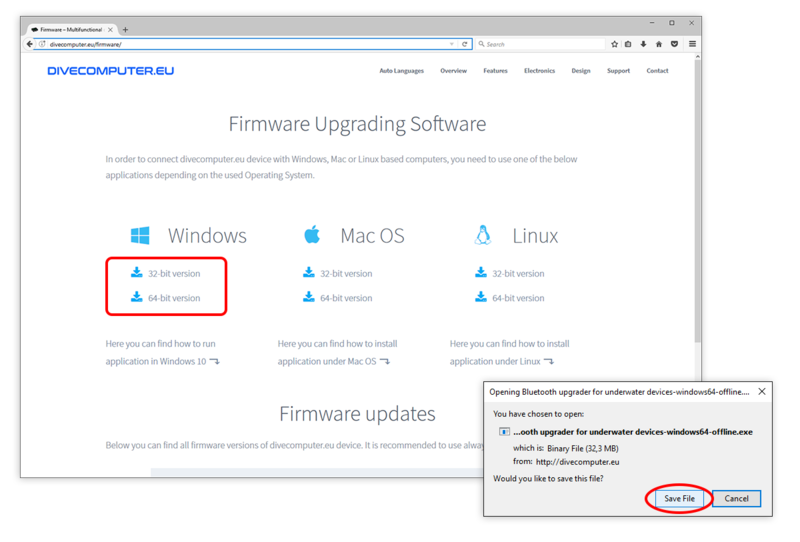 Right click on the app icon and select Properties, then check Unblock field and click OK.
To download a firmware file, go to this page: https://divecomputer.eu/firmware/, select version of the firmware, click download button and save the file on your hard drive. 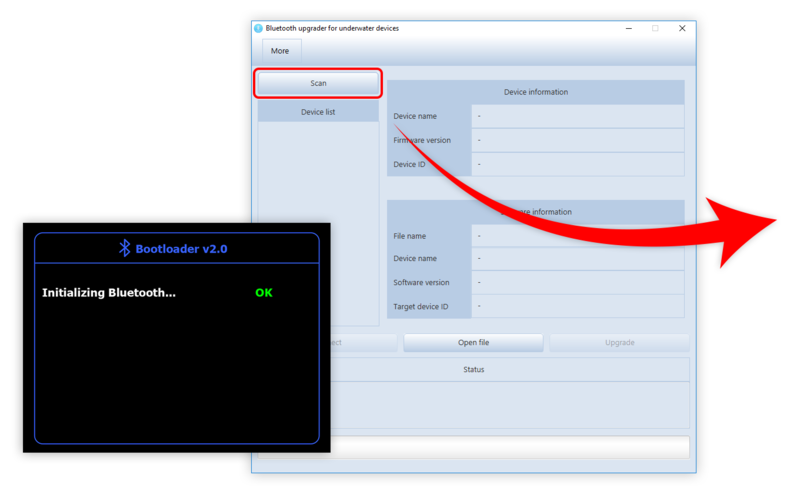 It is strongly recommended to use always the latest version with all fixes. 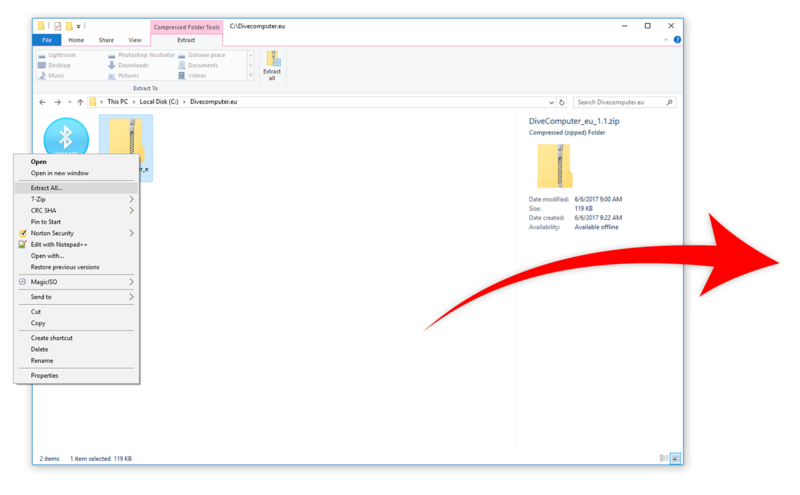 Select a destination folder and click Extract. 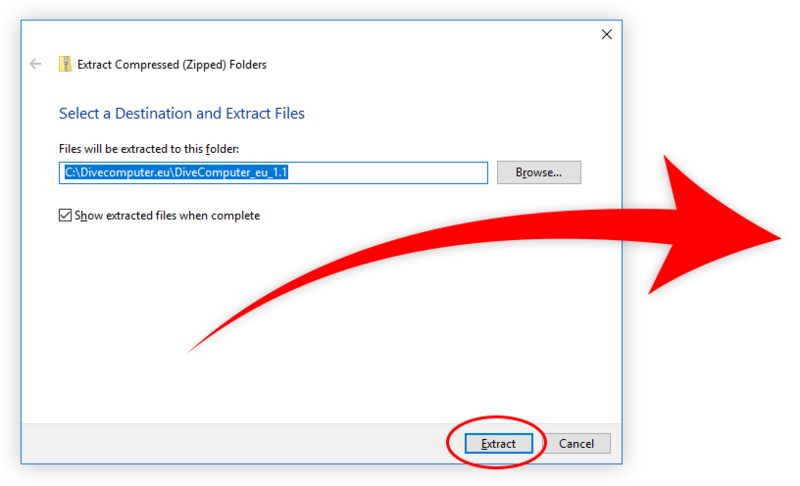 Extracted file is a OCF file, ready to be uploaded to your device. 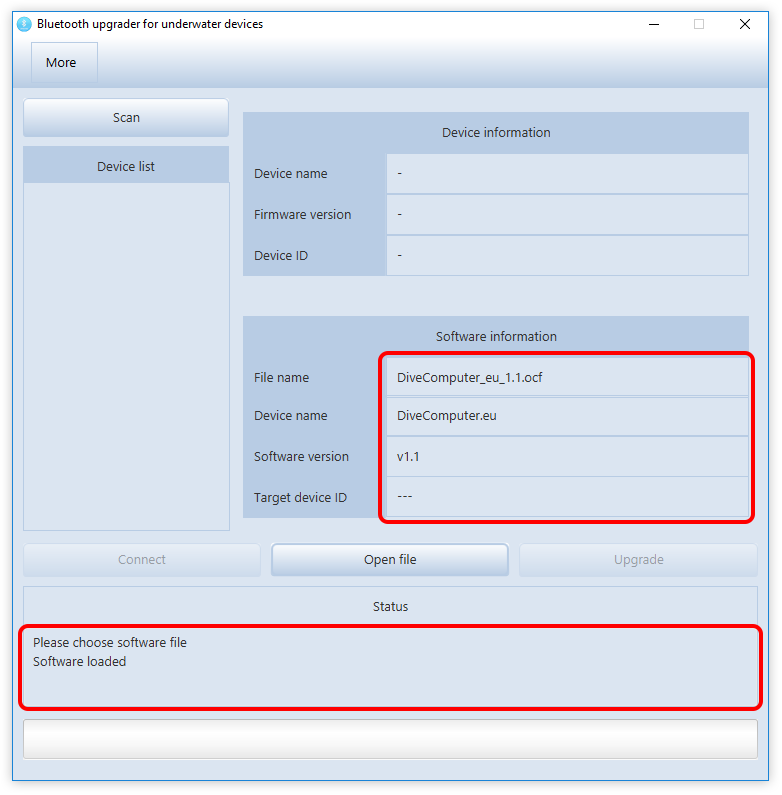 To open extracted firmware file in Bluetooth upgrader application click open button and select OCF file. 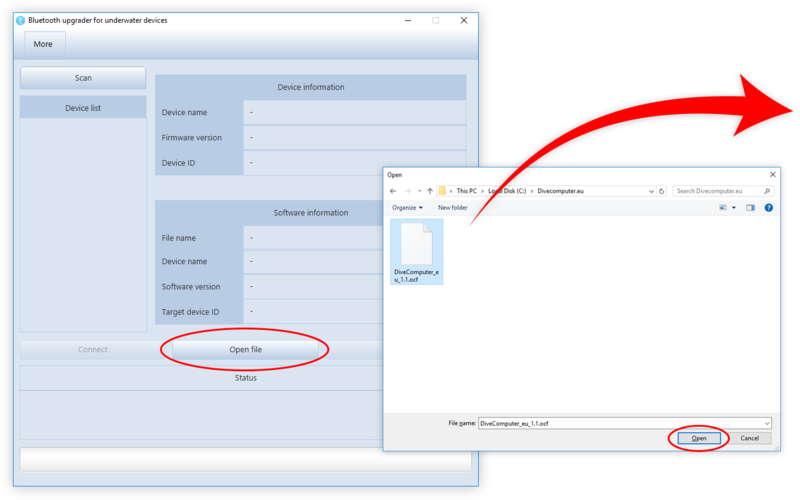 After the file is loaded correctly the software information appears and status changes to Software loaded. 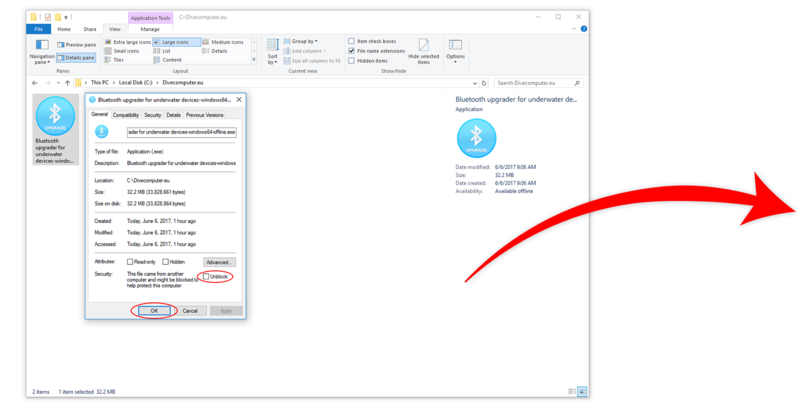 Switch your device to bootloader mode, enable bluetooth on your computer and press the scan button. Scanning lasts up to 30 seconds. 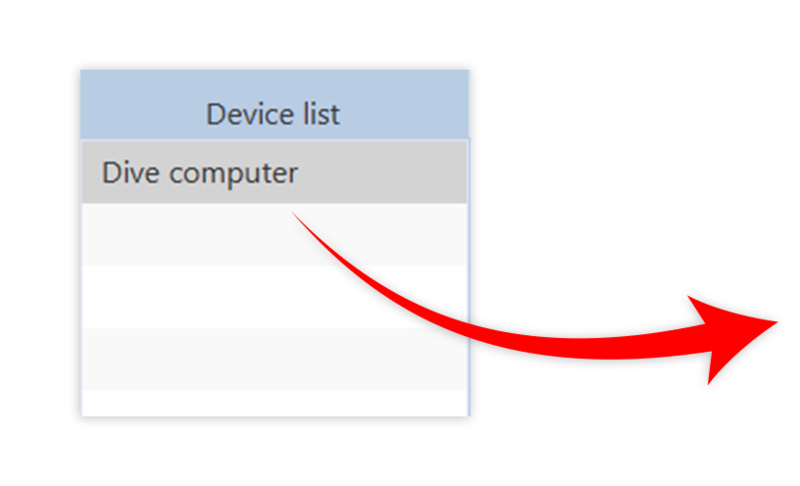 If your device is in BOOTLOADER mode, its name (Dive computer) will be listed. Choose the device and press connect. 1. 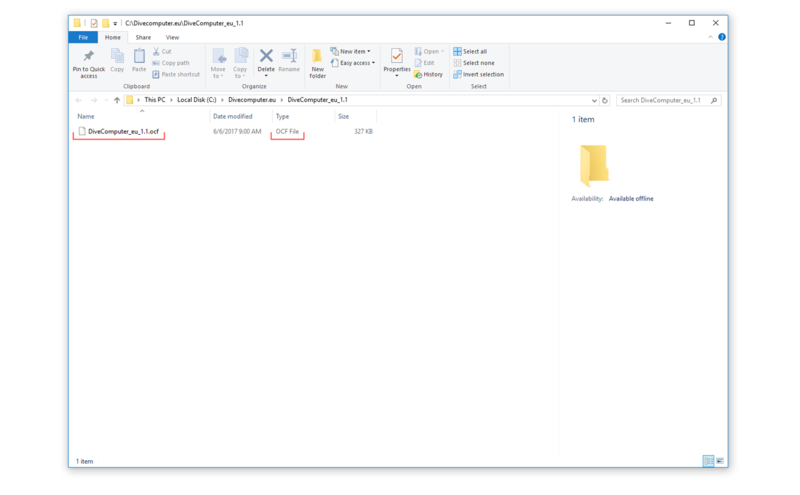 If this is a first connection to your computer, the operating system will prompt you to “pair”. 2. 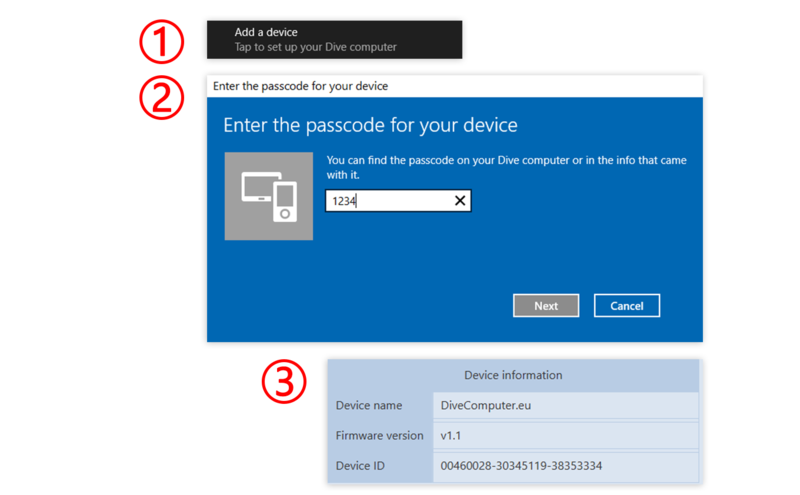 After clicking, you will be prompted to enter the device password. Type “1234”.